C/2012 F6 (Lemmon) was discovered on 23 March 2012 in the constellation of Leo by A. R. Gibbs using the 1.5-m telescope at the Mt. Lemmon Survey. This is a long-period comet (the perod is appr. 8000 years). The comet peaked at an apparent magnitude of about 5m. 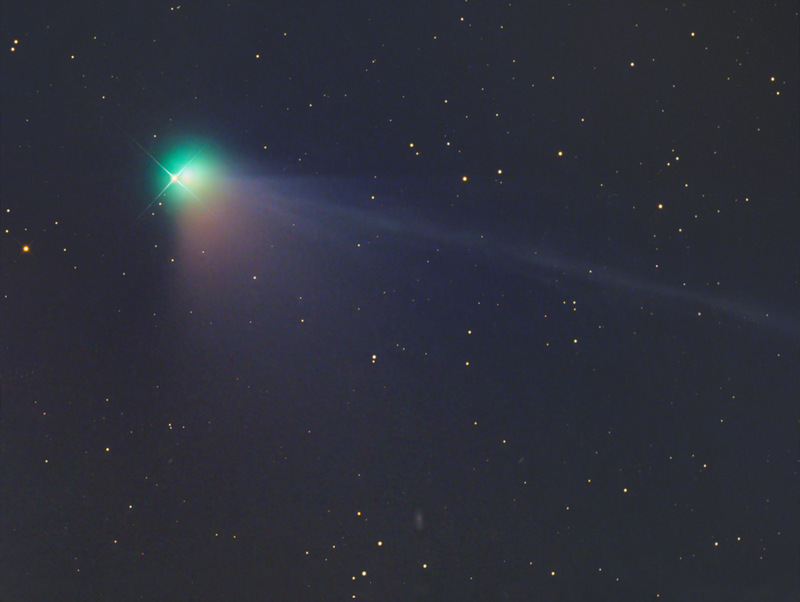 Here the comet is photographed on the morning of May 6th. 2013 when it was very close to the 6.54 mag star HD 1375. In the bottom centre can be spotted the tiny galaxy UGC 156.